Posted in U.S. 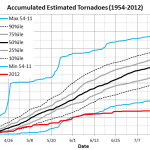 Severe Weather Blog on May 1, 2013 by harold.brooks. Posted in U.S. 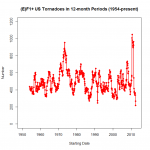 Severe Weather Blog on August 2, 2012 by harold.brooks. Posted in U.S. 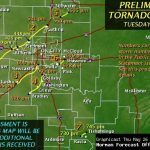 Severe Weather Blog on June 7, 2012 by harold.brooks. 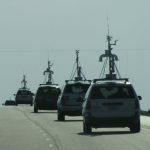 Posted in Forecast Research News, Research News on June 1, 2011 by Susan Cobb. Seven destructive tornadoes struck Oklahoma on May 24, 2011. 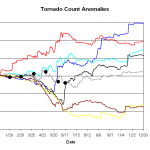 The tornadoes were well forecast by the National Weather Service (NWS), and NSSL was in position to capture the storms in several ways. Posted in U.S. Severe Weather Blog on April 26, 2010 by harold.brooks. 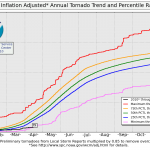 Can tornado activity through April portend May? Posted in U.S. Severe Weather Blog on April 16, 2010 by Greg Carbin. Posted in U.S. Severe Weather Blog on March 1, 2010 by harold.brooks. A late tornado report has been received, so there’s now 1 tornado in the database for February 2010. Posted in U.S. Severe Weather Blog on June 22, 2009 by harold.brooks.